As you all know now, we are currently in Thailand! 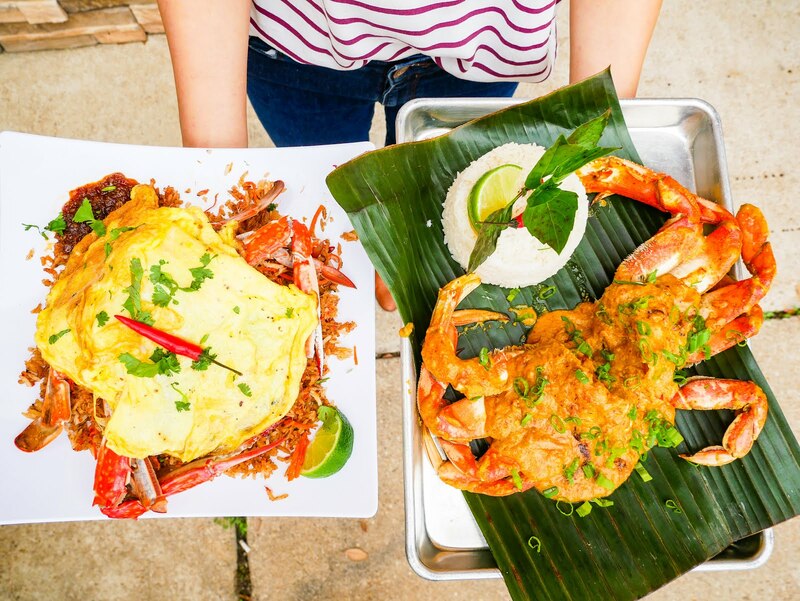 A month before our trip, we were on a mission to find the best Thai food in Houston. During this adventure, we found Tuk Tuk Crab! 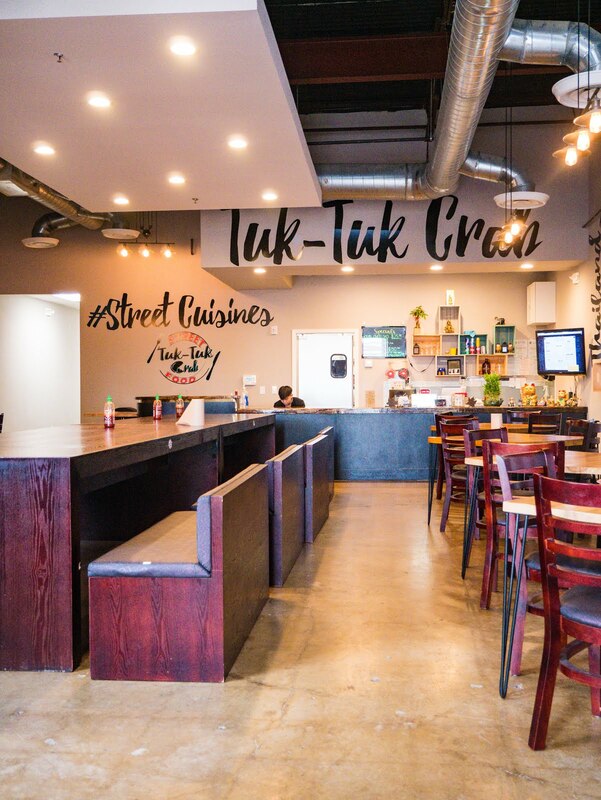 Tuk Tuk Crab features flavors from all over Asia, including Thailand, the Philippines, and Vietnam. 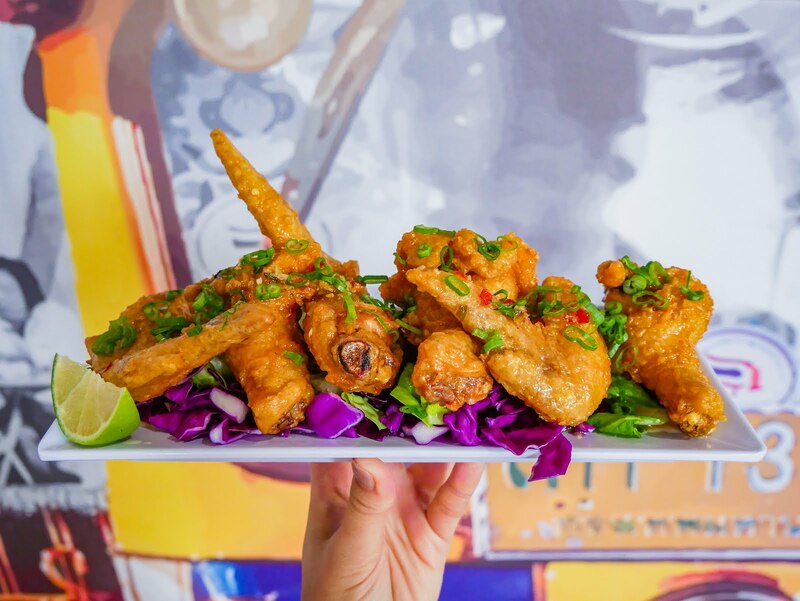 All dishes are cooked to order, served as shared plates, and are meant to be enjoyed with friends and family. If you've been before, you'll also notice that the menu changes over time. This is because they have a seasonally rotating menu. 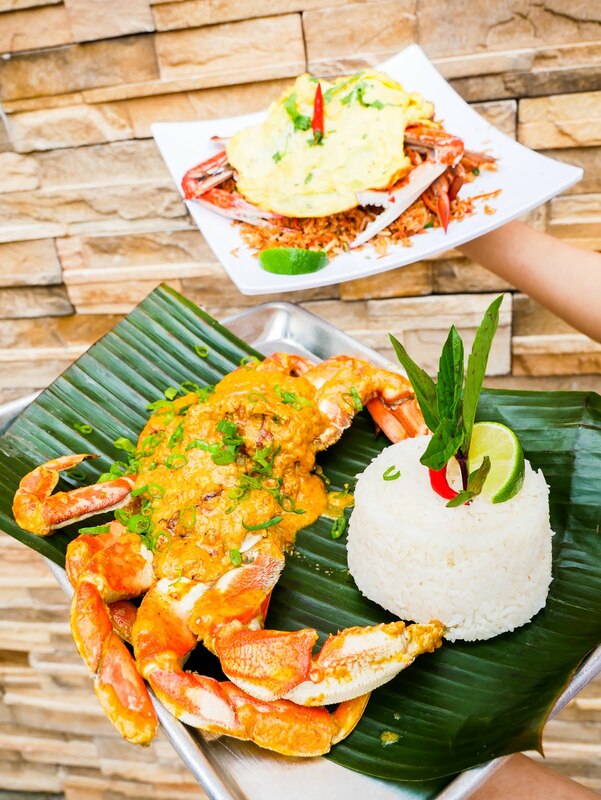 However, there are two staple dishes that remain year-round - the Curry Crab and the Crab Fried Rice. The restaurant itself is quite inviting. 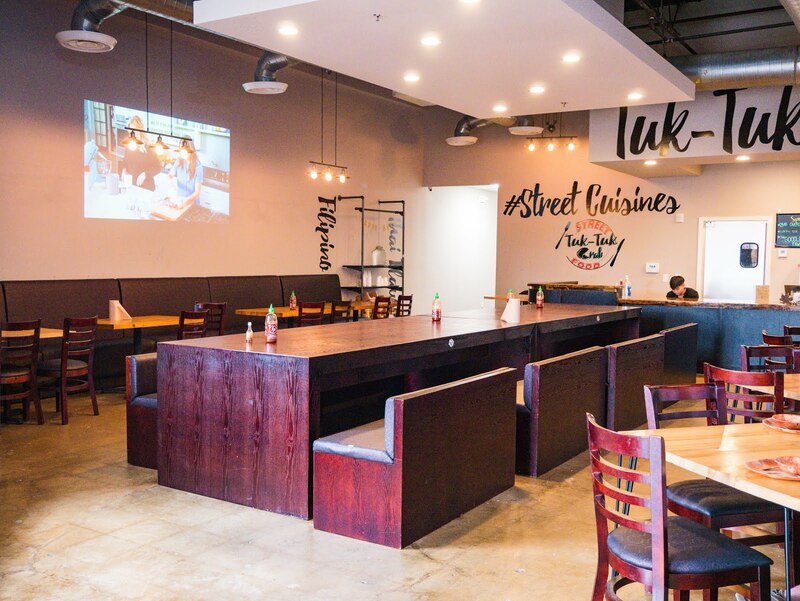 There is a mural on the right as soon as you walk in and large lettering on the walls to give the vibe that you're enjoying your meal on the streets of Asia. Everything is also centered around a large gathering table to invite your to dine with friends and family. We unfortunately did not come with enough people, but they offer a huge platter meant for 8 people! It looks like such a fun and incredible meal to have with a group! We tried a good variety of the food, all originally from different parts of Asia. 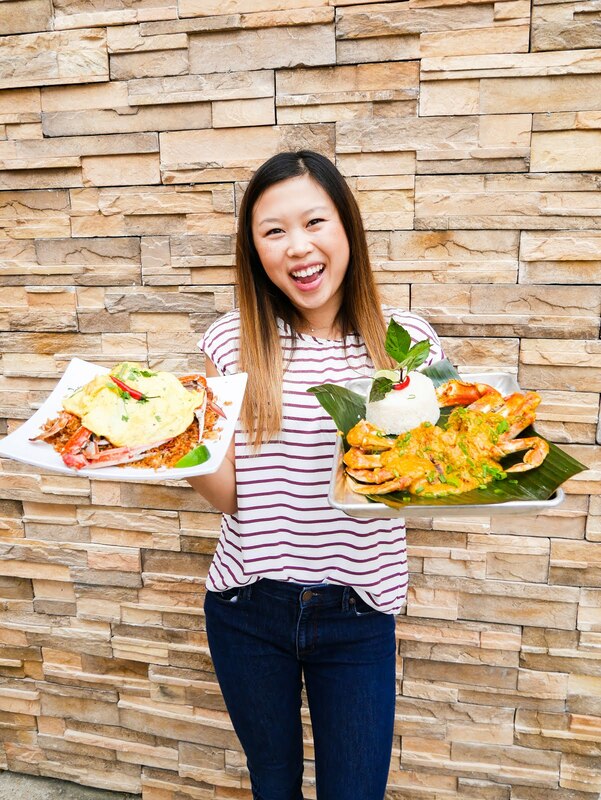 Our favorites were the Curry Crab, Nuoc Mam Wings, and the Lamb & Crackers, but we enjoyed everything and would recommend any of the items below! 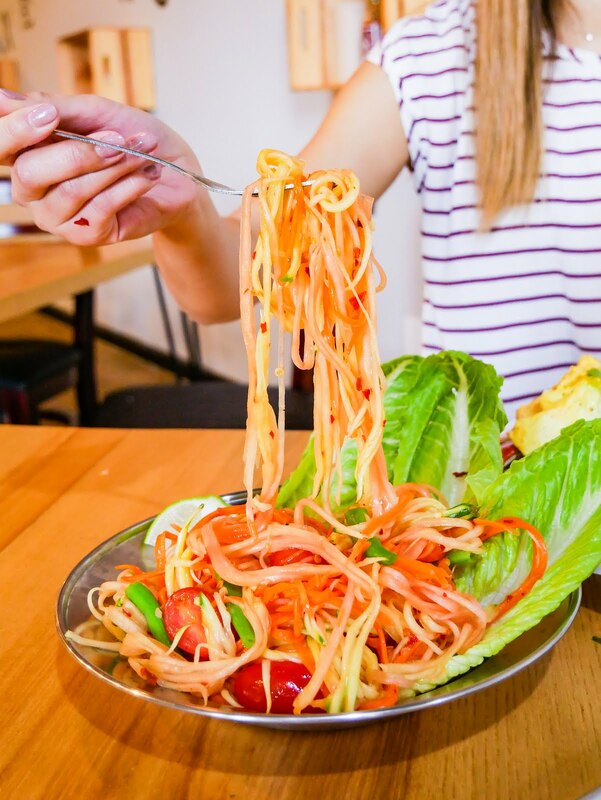 This salad is one of my go-to orders at any Thai restaurant. I love how light and refreshing it is! 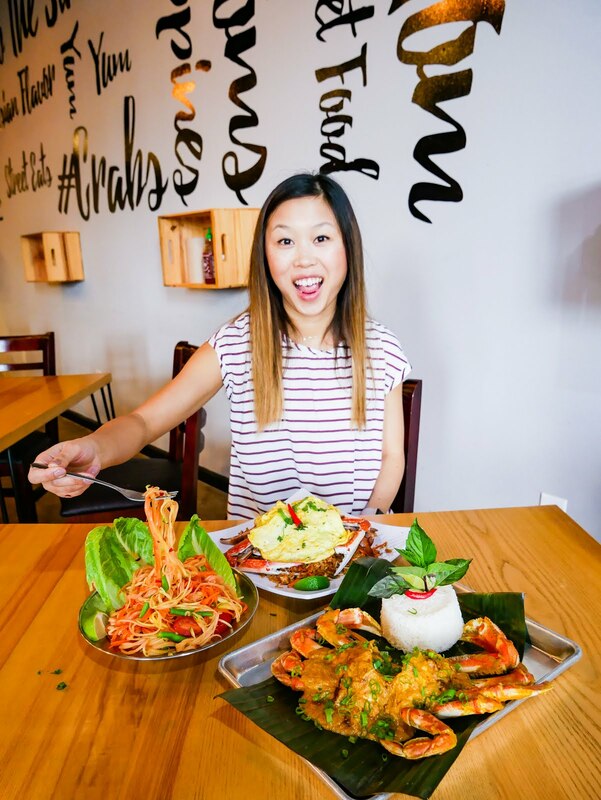 Nuoc mam (a.k.a. fish sauce) can be a little intimidating, especially when that's what is coating your chicken wings! Trust me though, these wings are everything - extra crispy and super flavorful. This was my personal favorite of our meal. 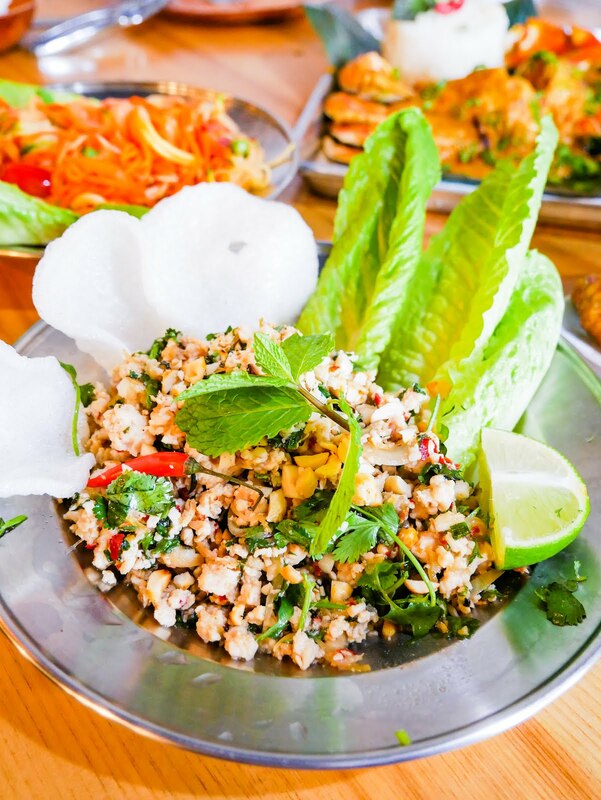 Laab is a meat salad that is topped with fresh herbs, chiles, and roasted rice powder, and is originally from Laos and Northern Thailand. 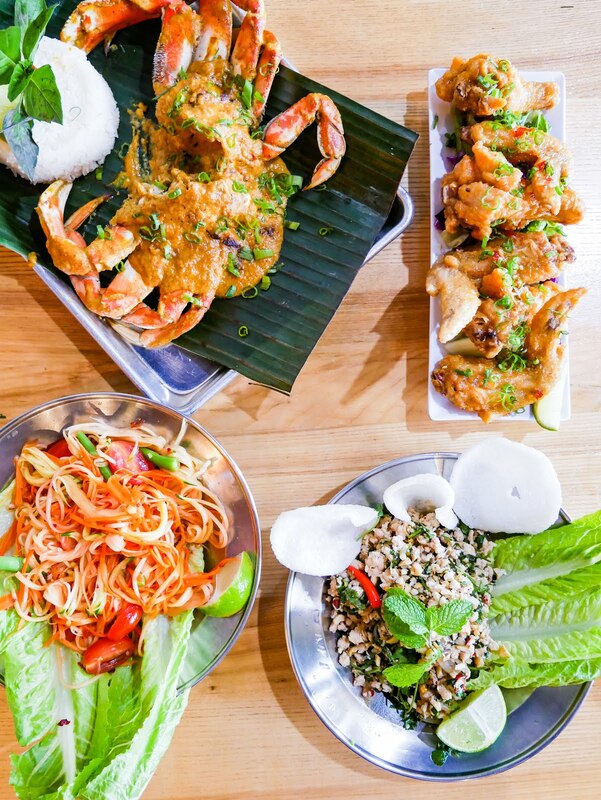 At Tuk Tuk, they serve it with crackers and romaine lettuce. 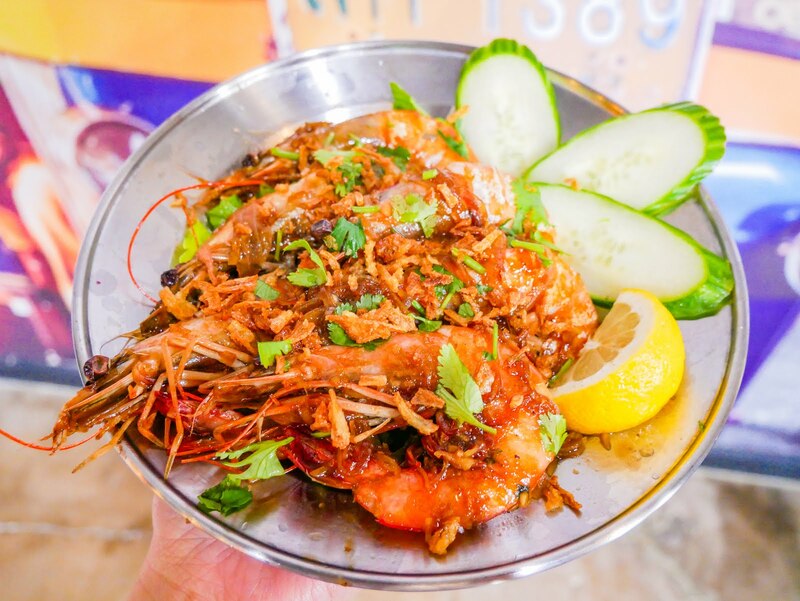 Shrimp lovers, this one's for you. Again, both of these dishes stay on the menu through every season. Both are worth a try! This was both of our first times trying Halo Halo! 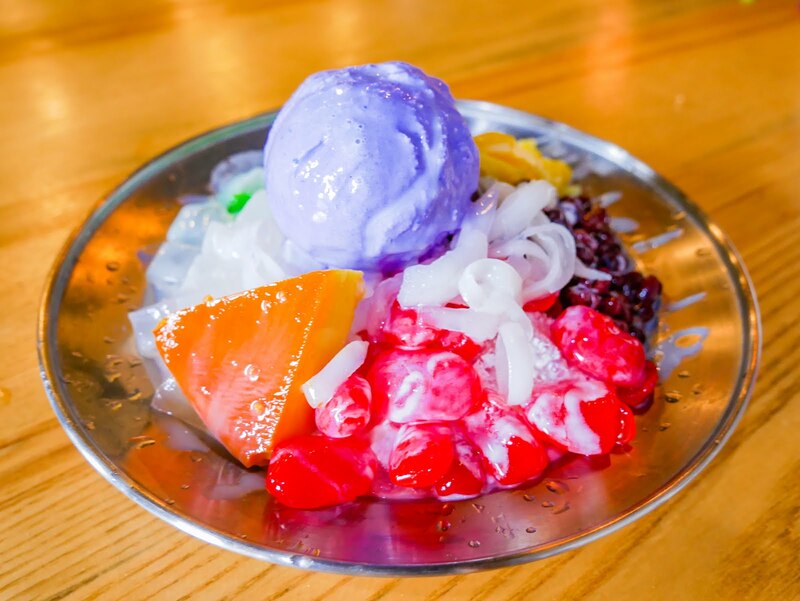 For me, it reminded me of Vietnamese desserts that I grew up eating with the jackfruit and coconut pieces. The only difference is that it's topped here with Ube ice cream, which Matt was a huge fan of. Needless to say, we left happy and full! Which dish would you try? Let us know in the comments below!